Today is all about food that is naturally vegan, that is food that does not imitate products that come from animals. I’m out on a trip today so I’m doing that through the medium of bento boxes. This is what I’ve got packed for lunch today. Top layer: Mixed grapes. Onigri with peas. Bottom Layer: A couple of these itsu Vegetable Fusion Gyoza. Carrots, peppers and kale stir fried with a little soy and mirin. Those gyoza are amazing. They come with a little dipping sauce and cook in three minutes. You could be snacking on them within five minutes of realising you are hungry. They make a perfect addition to the bento stash. 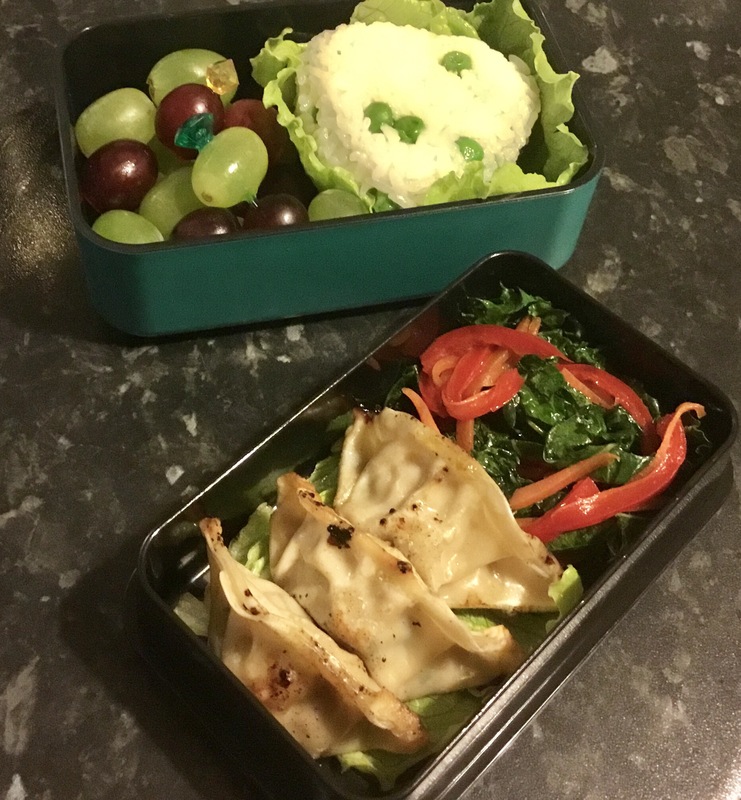 Bentos are a great way to show off naturally vegan food because you can have lots of little servings of different veggies. I’m a little out of practice, looking at it now I can see where I could have squeezed some edememe or veggies on a bento pick. But I have to get up at 3:45 so we’ll leave it at that.